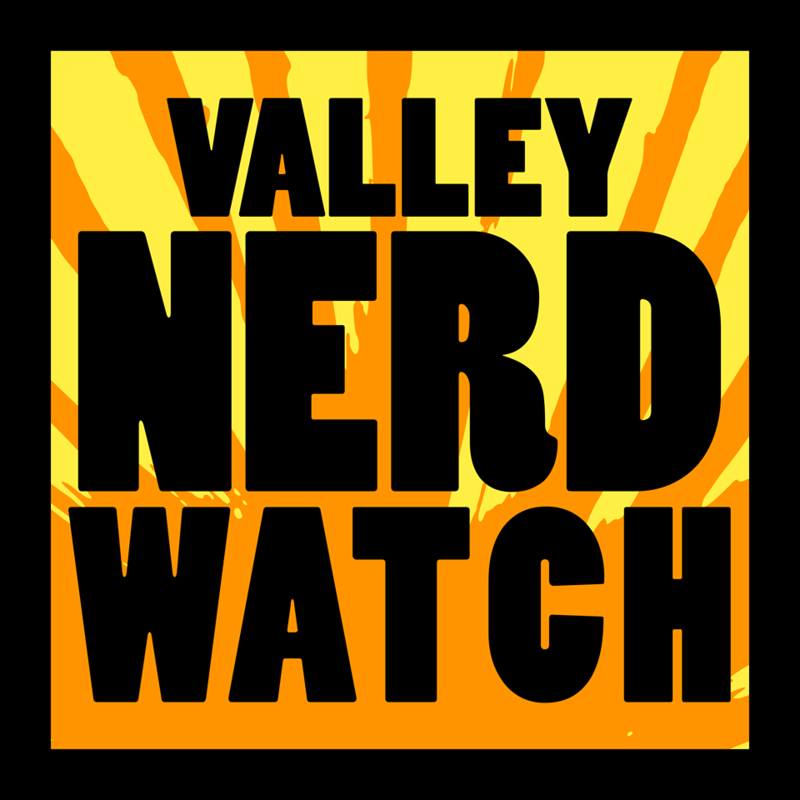 This week the big news is Nerd Nite NoHo! Go to it, because it’s a good time for you and yours! Also we have been playing and enjoying Apex Legends this week. It has an impressively boring name, but it’s been a lot of fun to play. We tend to bounce off multiplayer things, but it makes it easy to communicate without having to use a mic, and it has matches that are zippy enough to not feel like you’re locked into focusing only on the game for an hour every time you play. Go check out the Valley Creators page! As always, be sure to check out our Patreon! There are a lot of fun things happening this and every week! And don’t forget to check out the updated Book Clubs List! Learn how to use pastel paints with award-winning pastel artist Gregory Maichack! Participants will make a sailboat painting inspired by Monet’s Sailboat at Le Petit-Gennevilliers! Anyone from absolute beginners to experienced artist welcome! Monstrous. Who would wrest the heart from a Dane’s chest for the sake of art? But if you must… if you MUST. Do it in the Palmer Public Library. Zines are keen so come create a zine! It’s a fun little magazine (get it) that you can pass around to friends and even strangers! It can be about whatever you find interesting, and that’s what makes it fun! There are a ton of great folks who come to make art here! “Weekly Board Game Night! This week’s board game is Puerto Rico then player’s choice from our games library. As always there is an optional $5 for pizza if there’s enough interest, and all boardgames are 15% off. Any questions, feel free to contact Mayham Games or Isaac Gibbs” It’s hosted by Local Creators Mayham Games! Talk about books made into movies with other folks who like talking about that! Our favorite recent book to movie transition was Annihilation! It was a good book and a good movie, even though there were lots of differences! “Amy Rodgers’ research focuses on early modern literature and culture, audience and popular culture studies, theories of adaptation, and dance studies.” This is actually the origin story of popular Marvel super hero Iron Man. “Author Eric Bennett will read from his latest kids book, Noodles’and Albie’s Mermaid Parade, delightful tale of two friends, a penguin and a fish. Eric will bring to life penguin culture, Antarctica.” Penguin Culture! Delightful. “First Talk: ‘Et tu Brute? Intuitive User Design Meets Brutalism’: learn about the idea of intuitive vs unintutive design and how brutalism might straddle them both! Second Talk: ‘Five Fascinating Fungi Found Fruiting in our Forests’ Learn about mushrooms, our delicious forest friends … and enemies.” $5 entry! Cash only. Dramatic readings by professional actors help to bring short stories to life! First up is Lia Russell-Self reading “One Friday Morning” by Langston Hughes. Then, Nicole M. Young reading “Kiswana Browne” by Gloria Naylor! Join volunteer Xin for stories in Mandarin! Bring your kids ages 2-6 to hear some good stories. Movie Night! Which movie? Who is to say? But probably a very good one! That’s what we figure. Agile in your organization: what tools and processes are you using? “Are you more of a Renoir or a Picasso? Is your best friend Bob Ross? Come explore your painting instincts, no matter your painting experience. Snacks and materials always provided, no sign-up required. This program is for teens only.” We’re more of a … … there’s no one famous enough to remember specifically for painting prowess who’s also like well-known to be bad at painting! Hm. We’re bad at painting is what we’re saying.